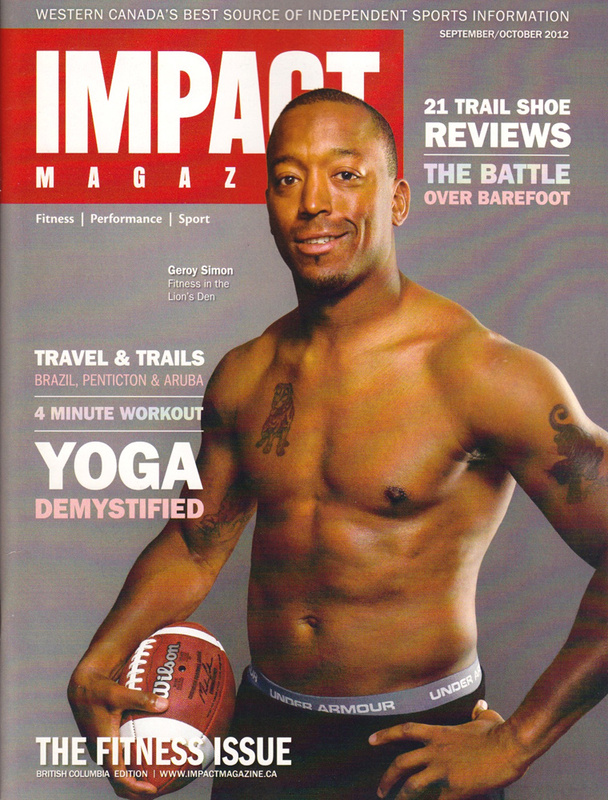 I had the change to photograph Geroy Simon for the cover of the September/October issue of IMPACT Magazine (BC Edition). 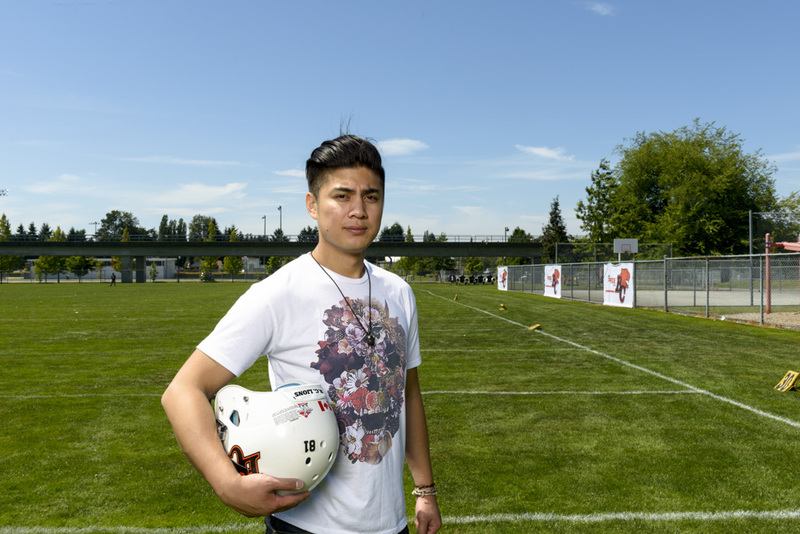 At the time I didn’t know that he had become the greatest receiver in CFL history, though if I had asked him about it during our shoot he probably would have shrugged it off. He has such a quiet, respectful, relaxed demeanour; willing to do most anything we asked. 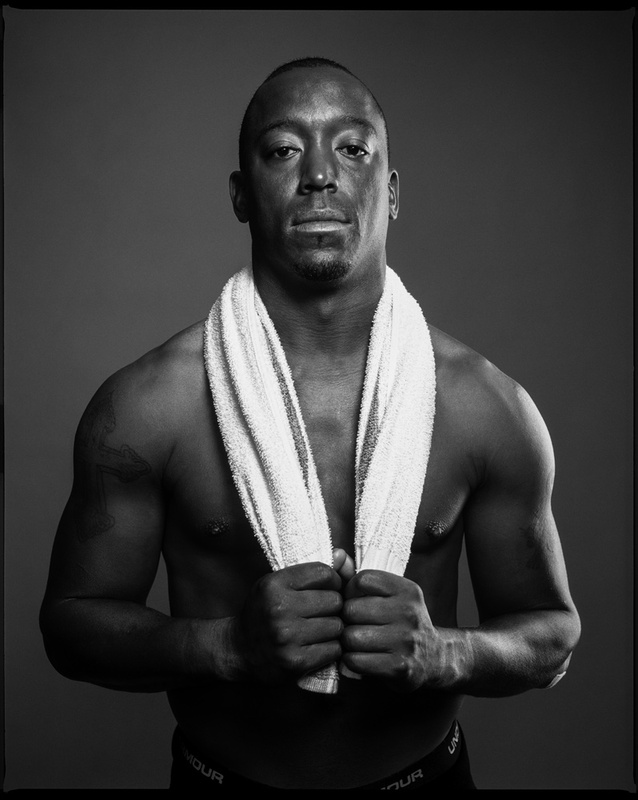 The image above is an outtake, but it’s probably one of my favorites of the shoot. We didn’t have much time with Geroy. IMPACT needed images both on the field and in studio for their story. 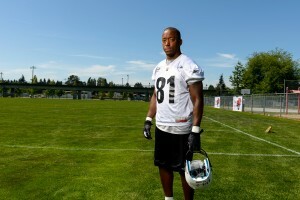 In total, we shot with Geroy for 22 minutes; 2 minutes on the field and 20 minutes in studio. The field setup was simple, a Profoto Compact 300 with a AlienBees 52″ Silver PLM hooked up to a Explorer XT battery pack. I’ve been pretty impressed with how much light the PLMs are able to output. For the price, you can’t go wrong. A quick walk on the field, and a few portraits, and he hit the showers. 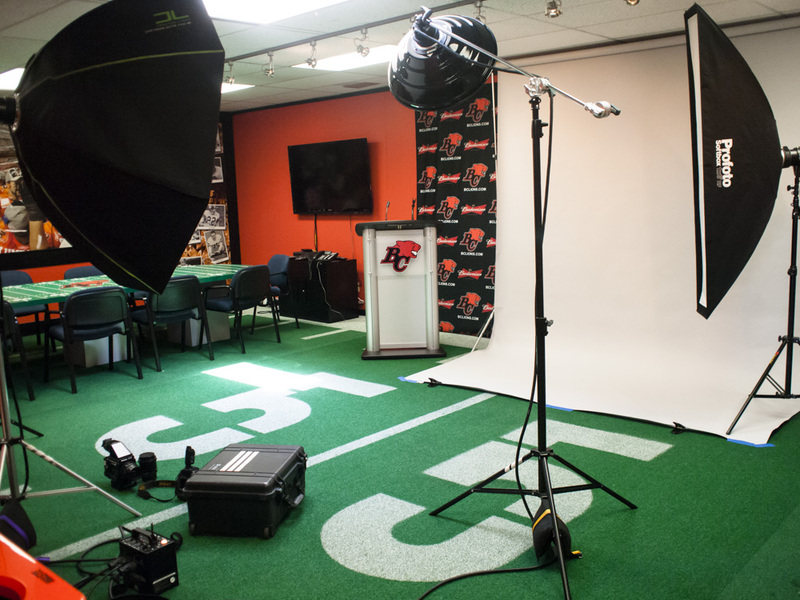 We setup the studio before hand in the BC Lions’ conference room. 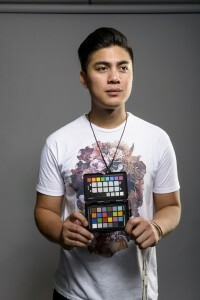 A basic three light setup with a beauty dish as key, a 5-foot octa as fill, and a stripbank as a kicker. Worked pretty well. A few weeks after this shoot I picked up a second 6×1 foot stripbank which I wish I had. Would have been great to create a bit more definition on both sides, oh well next time. Again, a few frames for the cover, a few playing around with a football, and a few extra frames for options, and we were done. 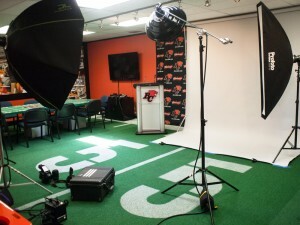 All-in-all it was a great working with Geroy and the BC Lions PR staff. 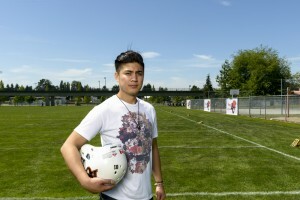 Mr. Ron Filio assisted on this shoot. He’s probably one of the best street shooters I know. And yes, I’m short. 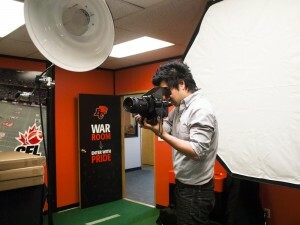 That’s why I’m always standing on my Pelican case.